We can try to understand what comprehend what happened that Resurrection morning, but don’t create too much expectation that you will be able to understand it, for it is part of the mystery of God. That it actually occurred is testimony of the faith of those early believers that proclaimed it. They didn’t spend their lives in hardship, deprivation, and martyrdom just to believe in an intellectual cause, they believed in an ‘event’, and they believed it with all their hearts, minds and soul. Let us turn our attention to the events which led up to the crucifixion. Galilee and Judea was astir, for it was a Sabbatical Passover that occurred every seven years. During this time, the land stood at rest, and the population was on a year long Sabbatical and eager followers of any messianic or Hasmonean aspirant to the throne found a hosts of followers to follow them on their mission. These were peak years for the Zealots cause with their obsessed goal to free Judea from Roman rule, and the Sicarii were always available to promote the cause of freedom even if it meant a quick assassination of an opponent. We see Jesus heading to Jerusalem and for the first time He cautions his disciples to arm themselves, if nothing more than self-defense. Peter takes on the stance of a personal bodyguard. Prior to Jesus’ arrival word reaches him of the death of several Zealot patriots which give every appearance that the perimeters of Jerusalem, or at least the Old Town of Jerusalem, had been secured by a general uprising. Then the battering rams were brought into the Kidron Valley and soon toppled the strong tower of Siloam and with it the death of eighteen Zealot defenders. There was always swift retribution to any aspirant to throne of David by the Romans, yet Jesus, recently anointed in Bethany, makes a peaceful yet highly visible entrance as a new claimant to the throne of David. There amidst the throngs and multitudes in Jerusalem. He immediately goes to the Temple, in a provocative show of force, throws out the money exchangers and the commerce in the temple courts suddenly ceases. For two days, the sacrificial system ceases and it appears that Jesus has full control of the Temple compound. He spends the time preaching, healing and in legal dialogue with the Pharisees, scribes and attorneys. With an estimated million attendees to the Passover, a two day shutdown was a major financial blow to the High Priest and Sadducee authorities. Yet the Sadducean Temple guards and the Roman cohort of troops (about 500) made no attempt to arrest him because they feared the people who were in sympathetic support of the ministry of Jesus. Was Jesus an armed revolutionary? No He was not, though anti-Christian literature later would depict him as such. Understanding the political and seething cauldron that Jerusalem was in that day, the zealots as can be suspected (Luke 23:19) took advantage of the political environment to seal the perimeters of the city and stage a coup, hoping to force Jesus to make a rightful claim to the throne of David. Knowing his allegiance with the multitudes, his powers over nature, his ability to heal and raise the dead to life, there was every expectation that this claimant, Jesus, would succeed and lay full claim to the messianic legacy. 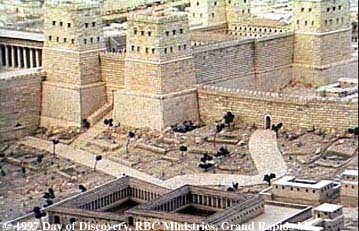 Everything appears to go as planned by the zealots, yet Jesus, when He took control of the Temple complex, instead of making an armed political coup against the Sadducean temple guard and the Roman garrison in the Antonia Tower, he instead begins to heal the sick and minister to the spiritual and physical needs of the people. A live demonstration of the true “Kingdom of God” was demonstrated those two days prior to the Passover feast in the courtyard of the Temple. That a revolt was thwarted is known by the legal swap of Bar-Abbes (Bar-Rabbin) (Son of the (Rabbi) Master) with Jesus and also due to two brigands “thieves” that were crucified with Jesus. The Zealot forces went into retreat without the full support of Jesus and the thousands of the supporters of His cause. Jesus had come as the “Prince of Peace” not as a fiery messianic war lord, like David. The revolt in the making fizzled out. One of the most important characters in the life of Jesus and the early years of the Hebrew Nazarene Ecclesia was the high priest Caiaphas. Caiaphas was appointed High Priest by the Roman procurator Valerius Gratus (15-26 CE), the predecessor of Pontius Pilate about 18 CE. (Josephus, Antiquities, XVIII, iv, 3) This appointment came after a tumultuous few years of annual appointees of new high priests, which for reasons unstated by Joseph were not compatible with the Roman government. During this era the famous High Priest Annas (6-15 CE), the founder of the House of Annas, was still the primary controlling power broker in political and religious politics in Jewish affairs. It was in his position of brokering the power structure that he kept putting in his own sons and sons-in-law in the office of the high priest. So we see between 6-30 CE, a period of thirty years, the office of the high priest was controlled by Anna, the founding father of the House of Annas for at least 28 of those years. Power, greed and control were being bred in high places in the leadership of the Jews. Yet that was not all, the office of the high priest was then under the control of two other sons of Anna during the tenure of the Syrian legate, Vitellius between 36-41 CE when King Agrippa I came to the throne of Judea which gave a sum total of thirty nine out of forty one years as the leading family in public and religious office. Though Caiaphas was the titular High Priest at the time of the crucifixion of Jesus, the power behind the throne was his father-in-law, Annas as seen in the following texts. To accept this date, the beginning of the ministry of John the Baptist and probably the ministry of Jesus would have been 28 CE which would leave an eighteen month ministry for Jesus instead of the traditional three and a half year ministry. Here we have an interesting scenario in which the author, John, who was intimately known by the House of Annas states that Jesus was sent to “Annas first” and the place of questioning was in the ‘courtyard of the high priest” and there he was interrogated by the ‘high priest” and then Annas sent Jesus bound to Caiaphas the high priest. 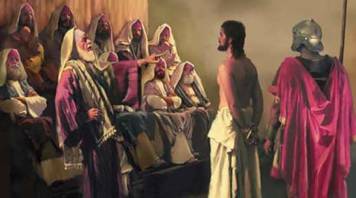 The trial of Yahshua was a drama of high stakes for the Sanhedrin and the Sadducean controlled priesthood. Caiaphas the high priest initiated the charges of treason against Jesus in order to drag the Roman procurator, Pontius Pilate into the plot to destroy Jesus. Under Roman law, treason against the Roman government was punishable only by death and the death warrant could only be decree by the legal Roman authority in the land. It was this price that Caiaphas demanded, but the demand also came with a price, blackmail by silence. According to the Memoirs of Pontius Pilate by Carlos Franzen, Caiaphas was in the receipt of secret intelligence that Pilate had been a member of a secret plot to assassinate Tiberius Caesar. (Jowett, George F, The Drama of the Lost Disciples, Covenant Publishing Co. LTD, 8 Blades Court, Deodar Road, London SW15 2NU, 1993, p. 20.) The coercion of the Roman Procurator by the High Priest sent fear in the heart of Pilate of his possible exposure to the long arm of the intelligence agents of the Caesar, a man ruthless in his own right. Pilate rise to fame came only through his wife, Claudia Procula, who was the illegitimate daughter of Claudia, the third wife of Tiberius Caesar, and the granddaughter of Augustus Caesar. (Jowett, George F, The Drama of the Lost Disciples, Covenant Publishing Co. LTD, 8 Blades Court, Deodar Road, London SW15 2NU, 1993, p. 20.) To ignore the urgent pleas of his wife, who through a dream foretold that disaster would be his end if he judged Jesus, speaks significantly of the severe political pressure that Pilate was in and the political Machiavellian maneuverings of Ananus or Caiaphas. Within hours of the capture and dual trials of Jesus on the eve of the Passover, the city of Jerusalem was smoldering in unrest and seething discontent. The Roman guards were in high alert, the Temple garrison guards were on full dispatch and all the known associates of Jesus including nine of the twelve disciples had fled the city. Judas the Sicarii was hanging from a tree, either in suicide or murder. 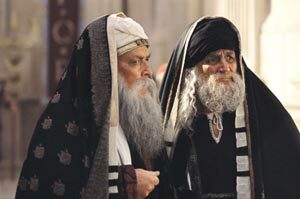 Nicodemus and Joseph alone had diplomatic immunity from the Sanhedrin and Roman protection. Peter had also fled when he discovered that he also turned traitor to Yahshua. Only John, the latter a relative of the family of the high priest stayed around. 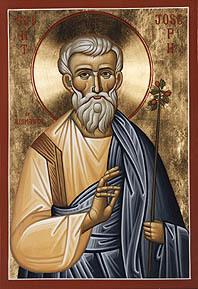 It is our first inclination that we give the Apostle Peter a lot of grief for his three denials of being an associate of Jesus, yet we must recognize the courage of this Galilean fishing businessman; he stuck around to observe in the crowded courtyard of the Sanhedrin in spite of the fear and omens that were spreading throughout the city. There crucified on the tree on the Mount of Olives, only John and the three Marys; the mother of Jesus, Mary Magdalene and Mary Salome observed from a distance. Jesus was not all alone while he was hanging on the tree. Unless his body, the body of an executed criminal, was claimed by the next of kin, according to Jewish and Roman law, his body would be tossed into a common pit and the memory his Him would be obliterated from all memory. That a member of the Sanhedrin and a Roman Senator, also a known member of the Jesus’ Jewish family could walk without fear of molestation into the court of Pilate and request the body of Yahshua suggests the providence of the Almighty of placing prominent men in high places to service the Will of the Lord. Yet was Joseph of Arimathea totally immune to the power of the Sanhedrin? At this moment, he probably did make one consideration, his request to take possession of the body of Jesus would best be made in private audience with his friend, the Roman procurator, and bypass the intentions of Annas and Caiaphas, not only to kill Yahshua, but to destroy his body, and make his memory totally extinct. The Bishop of Antioch writing in 180 AD quoted from the Apocryphal 'Gospel of Peter' stated this fact that Joseph of Arimathea was a close friend of Pontius Pilate and he requested that the body of one put to death had to be buried. The hours of the High Sabbath of the Passover had already begun on the eve of Abib 14. The families were gathering together to eat of the lamb shanks and bitter herbs as they celebrated that fateful day when their ancestors fled from Egypt. At this time the news of the burial of Jesus in a new tomb cut out of stone and fit for royalty struck the inner circle of the temple priests like lightning. As the uncle to Mary, Joseph of Arimathea ‘boldly’ went to Pilate to claim the remains of his great nephew, he denied the Sanhedrin the privilege of destroying the body of Jesus in an unmarked grave and to their shock, there now marked the tomb for all ages, a memorial, a place of pilgrimage and a holy spot for generations to revere. Who was this man of mystery? The gospel story is so short and cryptic that without history of the Nazarenes and the Christians outside the history of Acts, the story of Joseph of Arimathea would never be known. Joseph of Arimathea was a man of refinement, culture, education and with the business acumen to vault him to the highest levels of political and social life. In the Latin Vulgate, he was called a ‘Roman Decurio’. Jerome in his translation of the New Testament, called Joseph the “Nobilis Decurio”. He was a man esteemed in society, a nobleman, member of the aristocracy and a member of the Jewish Sanhedrin, the religious body with controlled the religious and political life of the first century Jews, a legislative member of the provincial Roman Senate, plus a political confidant of the governor of Judea, Pontius Pilate. If there is any doubt of this statement about the importance of the office of the Roman Decurio in the Roman society, consider the testimony of Cicero, who owned a villa near the city of Pompeii before the might blast of the volcano Mount Vesuvius in 79 CE. Cicero claimed that the local city council of Pompeii was controlled by Decurios, who were recognized as ex-magistrates and important government officials of Rome. Their position was so esteemed that he stated “that it was easier to become a Senator of Rome than a Decurio in Pompeii.” Lionel Smithett Lewes, late Vicar of Glastonbury, St. Joseph of Arimathea at Glastonbury or the Apostolic Church of Britain, James Clarke & Co. Ltd, Cambridge, PO Box 60, Cambridge, CBI 2NT, 1922, 1955, 1988.pg. 56). 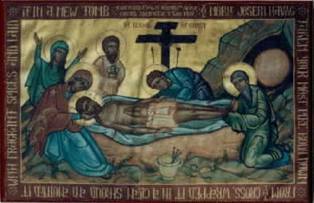 In Roman society, Joseph of Arimathea would have taken the position of Town Counselor and a member of the Provincial Roman Senate of the Municipium or Colonia. With this in mind, then the appointment of Joseph as a Decurio in Rome give him additional authority the mining district called the Mendips and the peninsula of Cornwall, by a King Arviragus of the British Silurian royalty in which he was intimately acquainted and may have been actually related. Joseph very well may have been an officer under of Pontius Pilate in Judea and as such, his rank and prestigious honor in Jewish society may have led to a close relationship between the two. For the British and the Romans to engage in ancient commerce is well documented. As early as 1500 BCE, around the time of the exodus by the Israelites to Canaan, we also find a migration of Semitic people to the islands of the west. It was the 5th century historian, Herodotus who referred to Britain as ‘the Cassiterides” as the source of the international tin trade. Even the British Princes were brought up in the Court of Augustus Caesar and many of the Roman nobles were trained in the druidic universities of the Brits which were well known for their knowledge of the natural sciences. It was on the lands of the Silurian possession and under their control along the western Mendips region of Wales and Britain and the central part of Cornwall in ancient Britain that some of the richest tin mines in the whole world were found. That the word Saracen and Jew were intermixed with this population is well attested by all British historians. Even the names places in Cornwall give undeniable presence of this ancient people – names such as ‘Bojewyan’ (abode of the Jews), “Trejewas’ (Jew’s village) and ‘Market Jew” and the historical “Jewish windows’ in St. Neot’s church. Herodotus stated that according to the Greeks, tin came from the ‘Cassiterides’ and the source of this tin came from islands ‘situated in the extremes of Europe toward the West.’ These people were known not to be the ancient Brits and at the same time they were not the sea-bearing commercial middlemen, the Phoenicians. Modern historians of the Lost Tribes of Israel claim that the descent of the Jew-Saracen of Cornwall goes back to the Exodus, when under the cataclysmic conditions surrounding the Exodus a large number of Israelites scattered to other regions of the world including many who headed towards the west, around Spain and up the European coastline to the Isles of the West. These were called the Milesians, who went with a Scythian prince who was acquainted with Moses and healed by the rod of Moses when bitten by a viper, later migrated to Ireland and the British Isles. Modern archeologists many times do not give credit to the extent of the wanderings of the ancient peoples of the world. What was known is that bronze was a valuable commodity in the Roman Empire. Whereas copper was in easy supply across the empire, there were only a very few mines known that supplied tin and lead. Tin was extracted and dug from the ground in this western Cornwall peninsula in southwestern Britain and in the regions of the Mendips region near Glastonbury lead was mined. It is known that most of the tin trade between Cornwall and the Mediterranean lands was carried on by Jewish traders in Phoenician vessels. There are existing descriptions of this trade dating back from the sixth century BC. Was it not the Prophet Ezekiel who stated? By the first century AD, the reach of Roman power had made it necessary for traders to protect their sources. Jewish dealers were reduced to carrying ingots from Cornwall to Brittany by ship, then by horseback across France to the southern ports. It was the only alternative to travel by sea through Gibraltar, where every cargo would have been subject to tracing by the Roman authorities. Timaeus - "Opposite to Celtiberia are a number of islands, by the Greeks called Cassiterides, in consequence of their abounding in tin, and facing the promontory of the Arrotrebae, are the six islands of the gods, which some persons have called the Fortunate Islands." Pliny writing in ‘Natural History” talks about the tin of Cornwall. 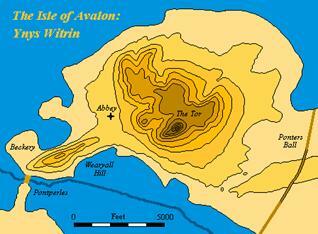 The Island of Avalon and Ictis - On the western coast of Britain south of Bath in the present city of Glastonbury, the land was covered with small islands or mounds. Both Pliny and Diodorus Siculus give a description of this region. Diodorus Siculus – “They that inhabit the British promontory of Belerium, by reason of their converse with merchants, are more civilized and courteous to strangers that the rest, These are the people that make the tin, which with a great deal of care and labour they dig out of the ground; and that being rocky, the metal is mixed with some veins of earth, out of which they melt the metal and then refine it. Then they beat it into four square pieced like a die and carry it to a British isle, near at hand, called Ictis. For at low tide, all being dry between them and the island, they convey over in carts abundance of tin. It was at Ictis, now known as St. Michael’s Mount lying offshore from Marazon in Cornwall, that a Phoenician stone bowl was found by divers and identified by the archeologists at the British Museum. Here when the tides ran out, a sandy promontory went out to the island and the tin would be taken to that harbor and their placed in boats for transport to the coast of Gaul in western France today. 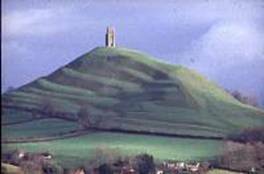 Here in the land of King Arthurian fame, not far from the later exotic bath houses of Bath, England, is a small town called Glastonbury revered as the most sacred site in Britain. Associated with a high mound that is visible for miles around, the Glastonbury Tor near the site of the later Glastonbury Abbey, the most famed cathedral in medieval England was surrounded by the Somerset Levels, some of the flattest lands in Britain. Due to massive drainage and a lower sea level today, these marshlands two thousand years ago hosted around ten islands that the ancients in skiffs would travel around from island to island. 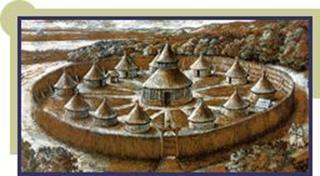 Glastonbury was called the Celtic name, Ynys Witrin, meaning the “Island of Glass” or the “Island of St. Gwytherin”. Here in this beautiful, safe and secluded area far away from the growing dissention in Judea and the building animosity between the Romans and the Jews, the secret disciple of Yahshua the Nazarene, His uncle, Joseph of Arimathea was to send the first message of “The Good News” to the farthest reaches of the then known world. This was not the first time that Joseph of Arimathea had gone to Britain. There was considerable evidence in the genealogies of the British Menologies that Joseph not only lived in Britain but that his wife was probably of British descent. With all the known knowledge of this aristocratic uncle and foster-father of Jesus, we begin to find a thread to weave a tapestry of the life and times of this amazing apostle of God. As a Roman Decurio, he was in fact a tin merchant. 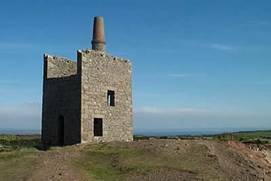 According to traditions, he initially was in charge of the tin mines in Britain and when these mines began to fail, he traveled up to Britain to trade in tin that was mined along the central highlands of Cornwall. Was he a pure merchant or did he actually own his own fleet of ships is not known. That he was traveling along the ancient route of the Phoenicians through the Rocks of Gibraltar, up the coast of Spain and then on to Britain. The central base of the tin merchants was the city of Massilia now called Marseilles, France on the Mediterranean Sea. Joseph no doubt was a frequent visitor to this city before traveling up the Rhone and then taking the overland route across Gaul (central France) to Morlaix in Brittany (Armorica) where off the coast is an island suitable for loading and unloading ships to traverse the English Channel to Cornwall. Good landing sites would have been St. Just in Roseland, St. Michael’s Mount off Marazon or taking the classic Celtic hide boats around Land’s End and sailing up to Glastonbury by the route of the Brue and Parrot Rivers. Here in a land that was never conquered by the Romans; the Lord of hosts was preparing a sanctuary and a retreat for the apostles and disciples of the Hebrew Nazarene Ecclesia of Israel. Joseph of Arimathea, being a Jewish merchant, would have made easy relations with his lost brethren of the tribe of Asher that had been working the tin mines for centuries. The ancient chroniclers testified that the Celts and the Israelites, who were able to converse in Hebrew and Greek, lived a highly sophisticated life. They were natural traders and in contact with many parts of the civilized then known world. Even to this day, the area of Somerset is called ‘Summerland’. Within seventeen miles from the seaside town of Burnham is a farm called Paradise Farms in an area called Paradise on old ordinance maps in western Britain. According to Lewis in the north-east part of Glastonbury Tor is a spot called ‘Paradise’ and the ancient road leading to this area is called Paradise Lane. That there would be built a later Ecclesia in the size and form of the Wilderness Sanctuary of Moses will be talked about later. The early historians are unclear of which ecclesia, the one built by Jesus or the later one built by Joseph and the twelve disciples who came to Britain about 36-37 CE. The former was more likely built like a solitary anchorite hut for meditation; the later one was built like a temple of worship. 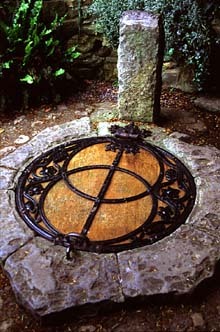 The former was built more likely near the Chalice Well where the later disciples called Anchorites lived, each with their own dwelling place called anchorite huts; the latter was built where the present ruins of the Glastonbury Abbey and the Chapel of Mary are located. This ‘wattle and mud’ church or ‘wattle and daub’ ecclesia is verified by many ancient historians. They include: William of Malmesbury (12th century) and his De Antiquities Glastoniae (The Antiquities of Glastonbury), Elvan of Avalon, who was a British scholar who was educated at the school at Avalon about 180 CE, and wrote, De origine Ecclesiae Britannicae (The Original Ecclesia of Britain, and Pitsaeus who wrote: Relat Hist. de rebus Anglicis Act., Capgrave writing: De Sancto Joseph at Aramathia, Haworth Castle writing The Magna Tabula of Glastonbury, Hearne writing John of Glastonbury and the British historians Gildas and Geoffrey. These all verify the stories of the mud and wattle places of worship by Jesus and Joseph. The hints on the life of Christ in Britain are few yet profound. It is Reverend Dobson who has suggested that having been taken as a lad by Joseph to Britain, Yahshua later came here in his youth and young manhood to visit Glastonbury as a place of retreat. The area was quiet, secluded and with a subdued beauty. Here was a place He could allow His mind to be filled with the images of His Father and commune in quietness. It was at this time, He erected his own small hermitage of mud and wattles and there he prayed and mediated in preparation for His ministry in Galilee and then to Jerusalem. While being raised in Galilee and Judea, Jesus was fully immersed in the Torah. As all orthodox Jewish youth, He was to commit the Torah to memory and know all the 613 commandments of the Lord. Yet as He stated later in His ministry, He mission to this earth was to come to the Lost Tribes of the House of Israel. Though they may seem lost today, the whereabouts of the lost tribes was well known to the Jewish scholars of the 1st century. Migrating from the land of Assyria between the 7th to the 1st century BCE, they were now found scattered from India to Britain with a few remnants as far away as China. The land of the Celts was a land of strong political and spiritual leaders. One of the first to greet Joseph of Arimathea when he return to Britain was Bran the Blessed, who was the Arch-Druid over all Britain and Wales. With our knowledge now of Druidism, we now see a vibrant and flourishing religious environment in which Glastonbury was in the center of several of the chief druidic centers of Britain: Caerleon, Salisbury, Bristol, Bath and Dorchester. The foundational philosophy was very similar to the Jews and the Gaelic language that they spoke was phonetically like Hebrew. 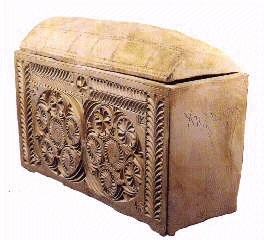 Many scholars have come to believe that ancient Druidism, not the modern New Age druids, was more akin to the Hebrews of the Judges than the 1st century Jews who through their Babylonian exile, had codified their beliefs and had become an isolated sectarian religion denoted best by their separatism from the rest of the world. Yesu, the coming Saviour of the future. The oak tree was the sacred tree of the Druidic God-head and the mistletoe was growing on the oak was symbolic of the Trinity with its three berries representing the three aspects of the Divine One. Yet the most fascinating was that the Druids were anticipating the coming of the messiah called Yesu (in Gaelic) and Yahshua (in Aramaic) and that with His coming He would be known as “All Heal”. Was it any wonder that when Joseph of Arimathea came after the death and resurrection of Jesus, the rulers of the land were anticipating his coming? They already knew the Saviour and Maschiach (Messiah) of the Jews. They knew His name and they also knew Him in person. During the time of Yahshua’s visit, there were forty universities of higher learning, one in each capital of the forty tribes of the Druids in Britain. At times they were teaching upwards to 60,000 students and nobility in the country. The educational system was so profound that young scholars from Rome would go to Britain to be trained. For twenty years they were taught before they had completed all the arenas of higher education. This areas of study included include astronomy, arithmetic, geometry, jurisprudence, medicine, poetry and oratory. Were the teachings of Jesus actually a combination of the profound knowledge of the Jews and the wisdom of the Druids? The death of the Roman emperor Tiberius Caesar was in early 37 CE. Just prior to his death, Pilate was sent into exile. That Joseph could have returned any time after the death of Jesus in his rock hewn tomb near Jerusalem in 30 CE, would have been reasonable due to his business interests and responsibilities. Therefore it can be assumed that Joseph had to return back Britain on business to evaluate the tin mining operations which were under his custody by the Roman government soon after the resurrection and ascension of Jesus. There he took the ‘Good News” to the Arch Druid of Britain, Bran the Blessed and the royal members of the Silurian Tribe in southeastern Wales. For many, the concept that Jesus went to visit, work and live for a few months or years during the “lost years” of Jesus’ youth is not totally out of question. The Talmud attests that Joseph of Arimathea was the son of Matthat (Mathat) ben Levi of Arimathea, and the younger brother of the Joachim/Heli, the father of Mary. If this were true, he was the uncle to Mary. By all evidence, Joseph the father of Jesus died while Jesus was a child, or at best in his teens. Under Jewish law, upon the death of a husband, the wife and children are placed in the custody of the next male kin of the husband. Therefore, Joseph of Arimathea would have become the guardian of Mary or paranymphos of Mary and her son, Yahshua, very early in His life. If we take the testimony of the revered Catholic Doctor of law, St. Augustine of Hippo, that a wattle church was built by the Hand of Christ Himself, then we also have testimony of Yahshua, the son of a master craftsman called a carpenter, Joseph, who was now utilizing the trade that was taught him as an apprentice of his own adopted father, Joseph. Cornish traditions abound in the whole region. Can we now suspect that Jesus had a great affinity and attachment to his great uncle, though by the time of his ministry in Galilee, his uncle was probably absent for long periods of time on his business as the Decurio of the tin and lead mines of Britain. That Joseph had returned in time for the Passover is attested in the gospel stories. That he was a member of the Sanhedrin that condemned his own nephew is attested in the secular historical records. That he risked everything, his wealth, power and civil and political position to fulfill his obligations as the guardian of Jesus by defying the Sanhedrin and claiming the body of his own great nephew is attested by both the canon and secular history. As we shall see later, the site of the church built by Jesus in dedication of his mother, Mary, was soon to be rebuilt by Joseph of Arimathea and a band of twelve who escaped from the shores of Caesarea and under severe hardship, landed near Marseilles, France. From there they traveled the route of the ancient tin miners. From fellow travelers with Joseph of Arimathea left the city of Marseilles and traveled up the Rhone as far as the city of Arles and then a thirty day’ journey across France, the region known as Gaul. On this journey they went through the country of the Lemovices over to the sea-coast; on to Limoges and finally arriving in the province of Brittany at Vannes or Morlaix on the coast of the British Channel. 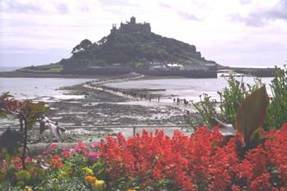 It was then a four days journey sailing across the English Channel to Cornwall to a place called Ictis by the ancients, known today as St. Michael’s Mount. The final leg of the journey inland went across Britain to the British strongholds or they took a skill and traversed around the south end of Cornwall and up the Atlantic coastline to the island of Avalon where modern day Glastonbury is now located. The church that was rebuilt by Joseph of Arimathea would later be encased in lead to preserve it and then a chapel dedicated to Mary, the mother of Jesus would be built over it. 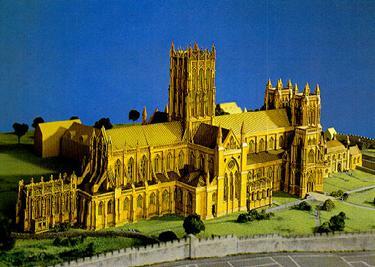 On the above picture of the Abbey of Glastonbury, the small chapel to the left attached to the sanctuary proper was the reputed site of the wattle ecclesia and then the rebuilt mud and branch larger ecclesia built by Joseph of Arimathea. This story will be told in Part Two of the history of the Hebrew Nazarene Ecclesia of Israel. A more significant genealogical study can be found at What Happened to the Friends and Disciples of Jesus. In this introduction, as a BibleSearcher, I will conclude with the following observations. Joseph of Arimathea, when compiling the historical documentation of the Jews with the historical documentation of the Culdee Celtic Christian Church in Wales and Britain, gives evidence he was a wealthy Jewish descendant of the House of David, who was selected by the Caesar of Rome to be a Roman Decurio and in charge of the mining, processing and shipping of the metal tin that was extracted since the greatest of antiquity from Cornwall, England. Joseph of Arimathea is portrayed in the ancestral genealogies of the royal and nobility of Europe as being the brother to Heli, the thereby the great uncle to Jesus. This fact is corroborated in the Talmud that Joseph of Arimathea was the younger brother of Mary’s father. The evidence also presented that Joseph of Arimathea was the uncle also to Joseph the father of Jesus as well as the uncle to Mary. Therefore, Joseph and Mary were at least second cousins. The British genealogies record that Joseph of Arimathea had a daughter called Anna, who was a consobrina, that is a relative or cousin to Mary the mother of Jesus. British genealogies are record that Anna was of British descent and had two or three husbands, one of which was a Jewish tin trader from Cornwall. Christian tradition states that Mary was the daughter of Joachim and Hanna. Hanna in the Christian tradition could easily have been Anna in the British Celtic genealogies. Ancient British genealogies record that after the death of Joseph, Mary married the brother of Joseph, Cleopas. As such ancient British genealogies also record that Mary, the mother of Jesus and Mary Cleopas were the same person. All records including the Biblical records suggest that Jesus had at least four sibling brothers and two sibling sisters. They were either full siblings, half siblings or cousins by half blood.